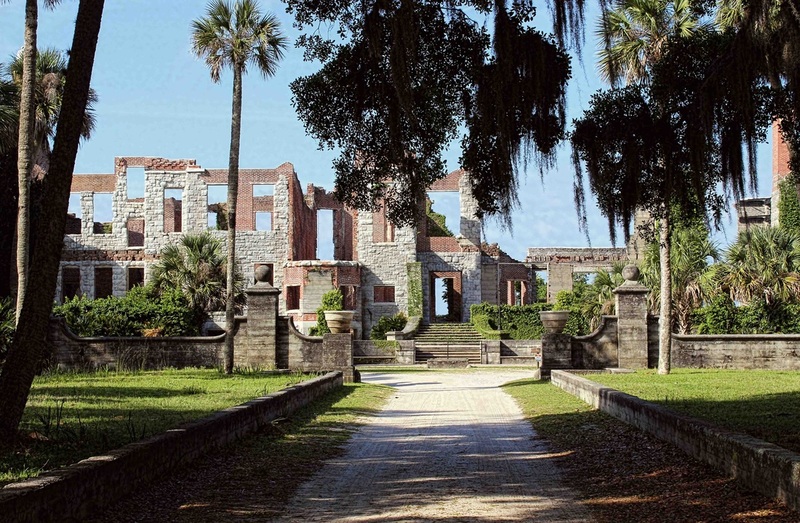 the world of cumberland island took me by surprise. i clinged to the romantic stories told by everyone i knew of galloping horses moving along the beach with manes billowing in rhythm. something out of a romance novel. in fact, i'm not sure what i expected. whatever it was, i was not disappointed. 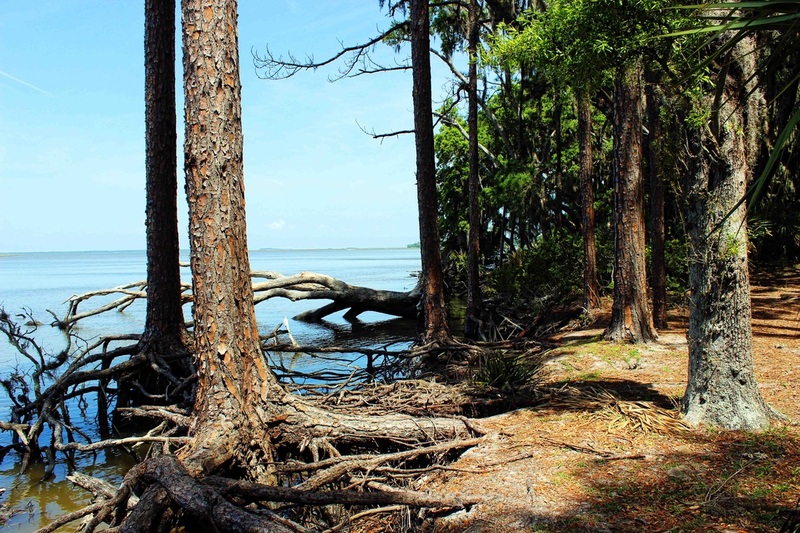 for along the southern coast of georgia is a story of people that you've only heard about in fairy tales. a life of opulence. 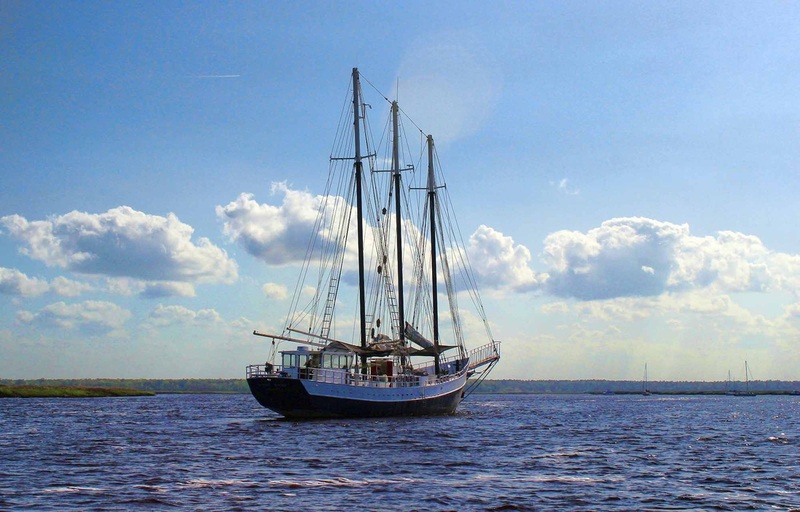 an existence that included slavery and love stories, of discovery and survival. of many whose lives ended in their prime, many before they got to see their dreams built or fulfilled. it's a history lesson for the ages, one that children and adults should see first hand. 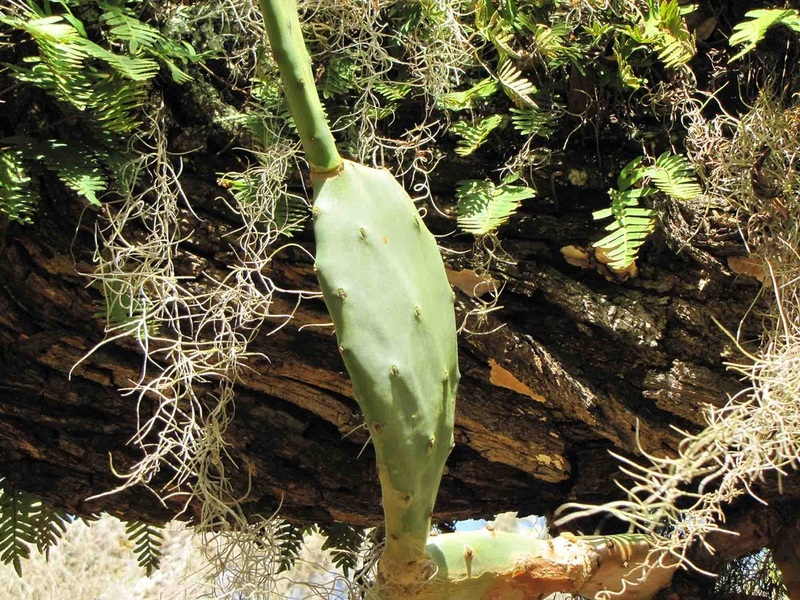 we hope that these images will whet your appetite for knowledge and discovery. when planning your trip, visit the national park service website and only rely upon their postings for the most accurate information. currently [june 2013], they are taking reservations for november for camping. day trips are possible if there is availability. call the park visitor's center and inquire about reservations. the most popular and busy time of year is from early march until early june. these dates ensure best weather and few bugs. [left] grand avenue. the road that takes visitors from the south end of the island to the north. once filled with carriages, the vehicles of residents and rangers are the only ones allowed. walking [and biking to some parts] is the only mode of transportation. to see the entire island, it's a 17 mile walk, one way. ferrys dock at two places: dungeness and sea camp. 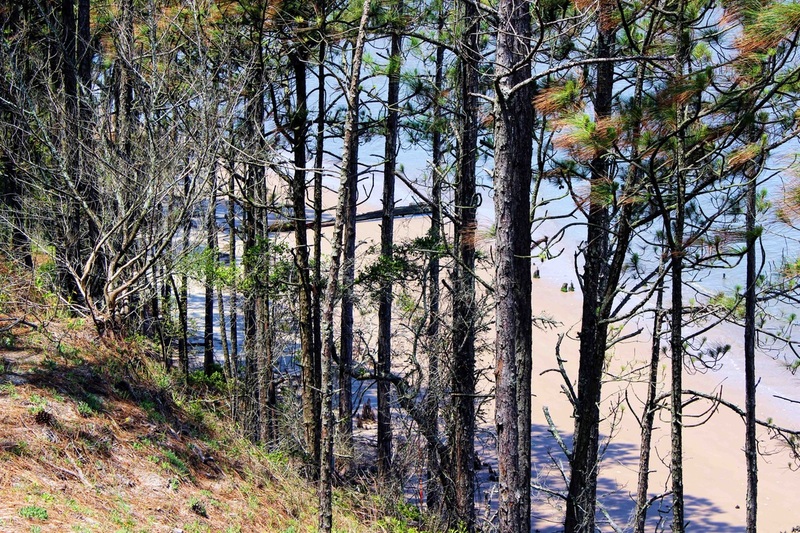 there are camp sites at sea camp [water, toilets, cold showers], stafford beach [flush toilets; 3.5 miles from sea camp]; backcountry sites [water but must be treated; no campfires]- hickory hill [5.5 miles], yankee paradise [7.5 miles], brick hill bluff [10.6 miles]. waste must be buried. trash must be packed out. the dungeness ruins are located on the south end. plum orchard is 8 miles north. 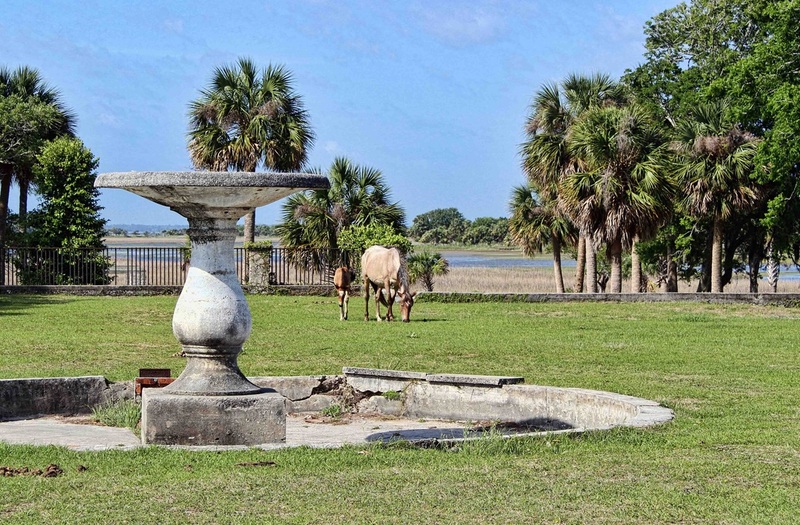 the first african american church [17 miles] is on the northern end of the island. the front entrance of dungeness. 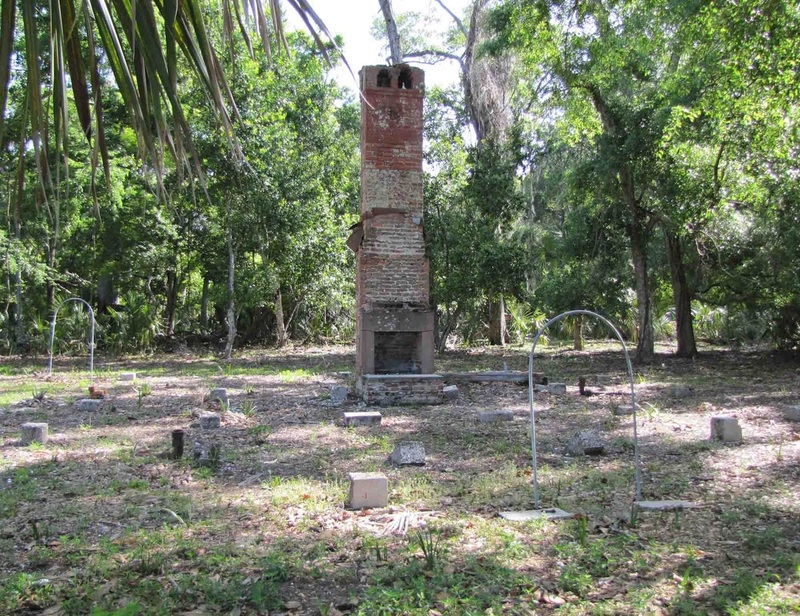 the structure burned in 1959 after being vacant for many years. 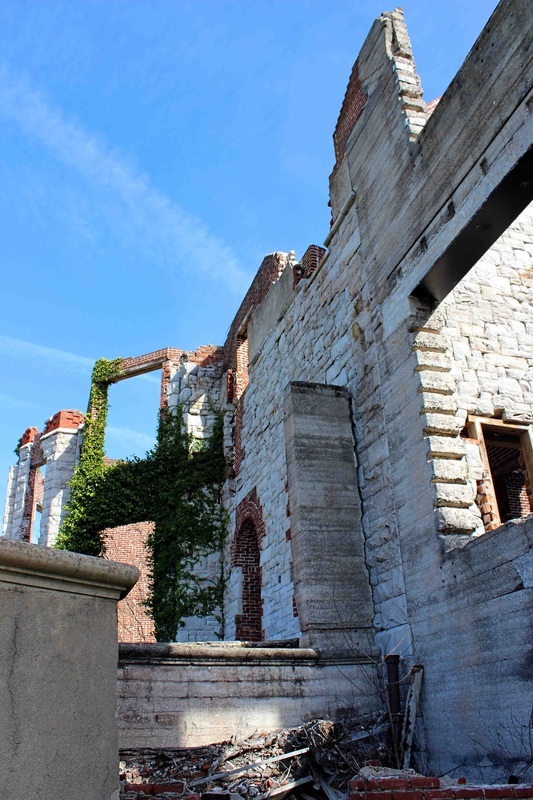 rumors say that it was burned by renegades looting or just causing trouble for the carnegies. cumberland was a visual representation of the 'have's and have not's'. they had electricity long before the st. marys mainland. 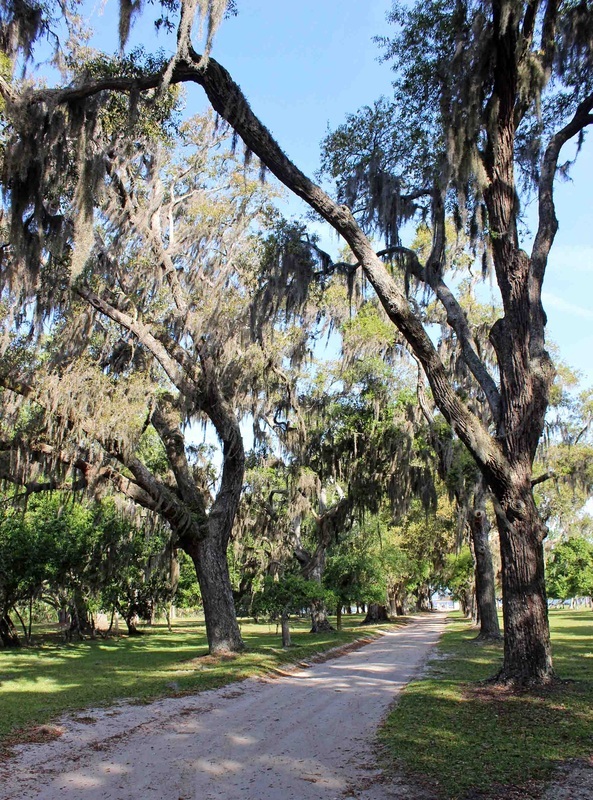 the land was given its name by james oglethorpe who built a hunting lodge on the island. although the lodge was ultimately destroyed, green and carnegie who followed kept its name of dungeness. the pergola located to the right of dungeness was inspiration to lucy carnegie. 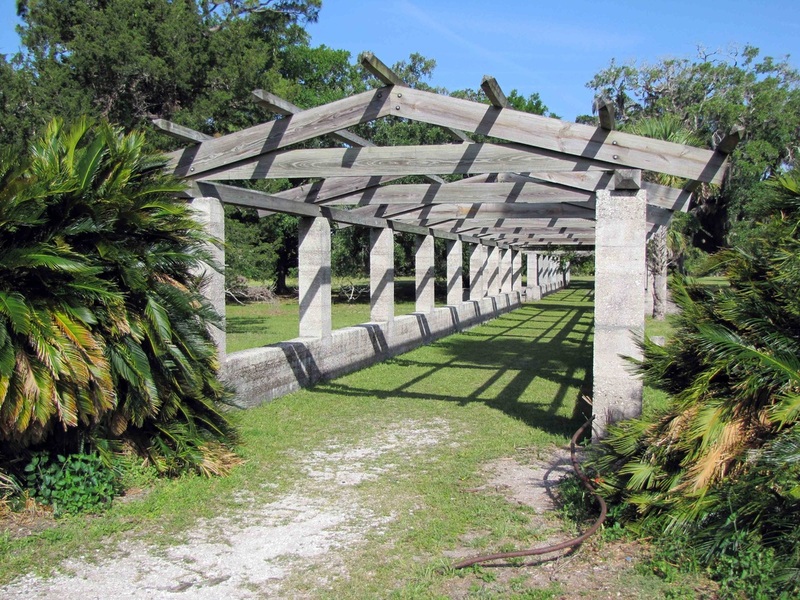 the ivy covered beams was the centerpiece of extensive formal gardens with palmettoes, live oaks, hedges and sculptured fountains. near the front entrance of dungeness are remains for a child's playhouse, built identical to the main house. in the front is a circular identifier that many think to be the front door. the remains of dungeness. a fire in 1959 destroyed the home. it was said to be seen burning for three days from as far away a saint marys. the back yard of dungeness, located on the marsh. horses are seen frequently around dungeness. the horses come and go as they please and are not cared for by the park service. once a year, a census is taken to account for the horses. this year, the number was 108, some forty or so less than the year before. 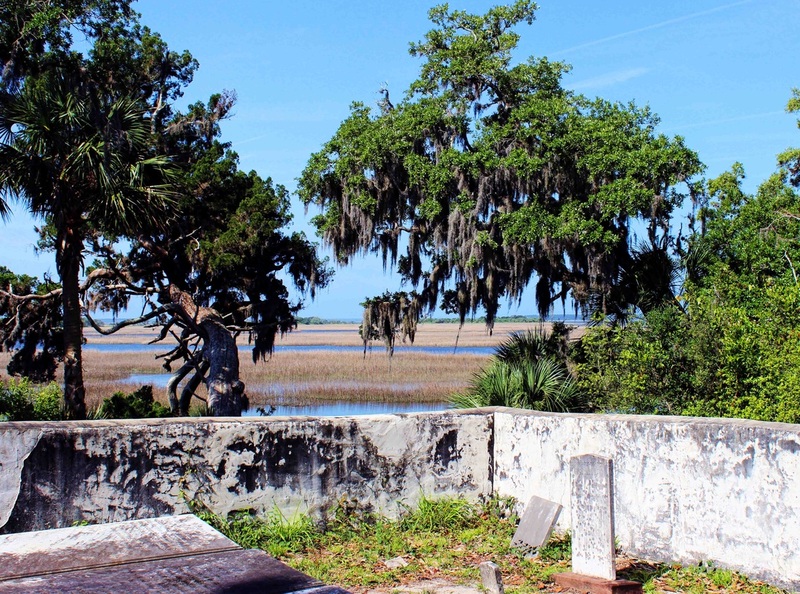 the green-miller cemetery [located near dungeness] is the burial place of catherine green, wife of nathanael greene. nathanael green and 'caty' owned much of the island plus built its original dungeness on the very location that the ruins now stand. her second husband, phineas miller, is buried here in an unmarked grave. the father of robert e. lee - general harry 'lighthorse harry' lee was buried here before his body was moved to virginia to lay beside his son. 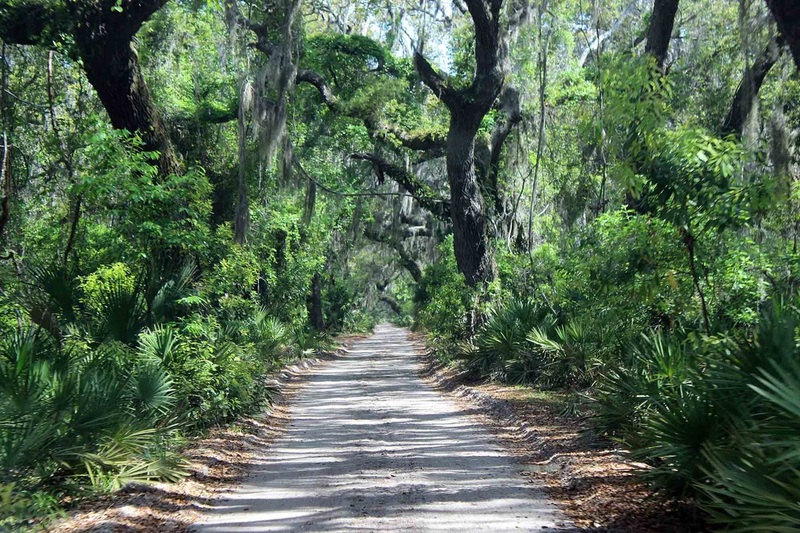 this barrier island is a dynamic environment for plant life. 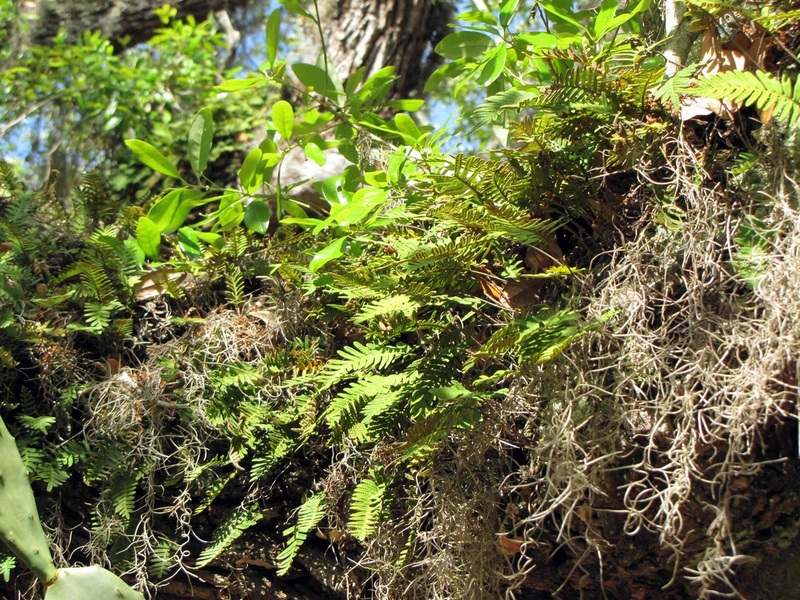 on one of its greatest resources - the live oak - grows ferns and cacti. the main entrance of plum orchard. to the left is the living room, complete with tiffany wallpaper. to the right, the dining room. a bullet cabinet located in the 'mans room'. if you look closely you can see the IDs of ammunition. plum orchard. built by lucy carnegie for her son george upon his marriage. he was also given a cash gift of $10,000. 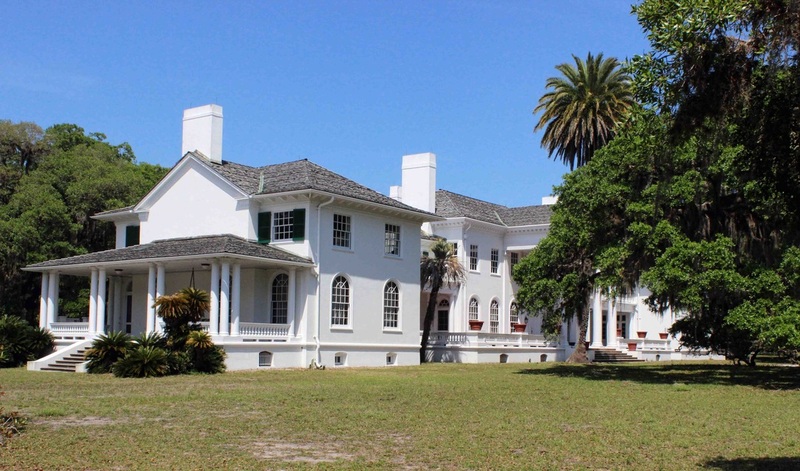 the home was completed in three stages at a total cost of approximately $56,000 in 1906. today, the national park service maintains the property. 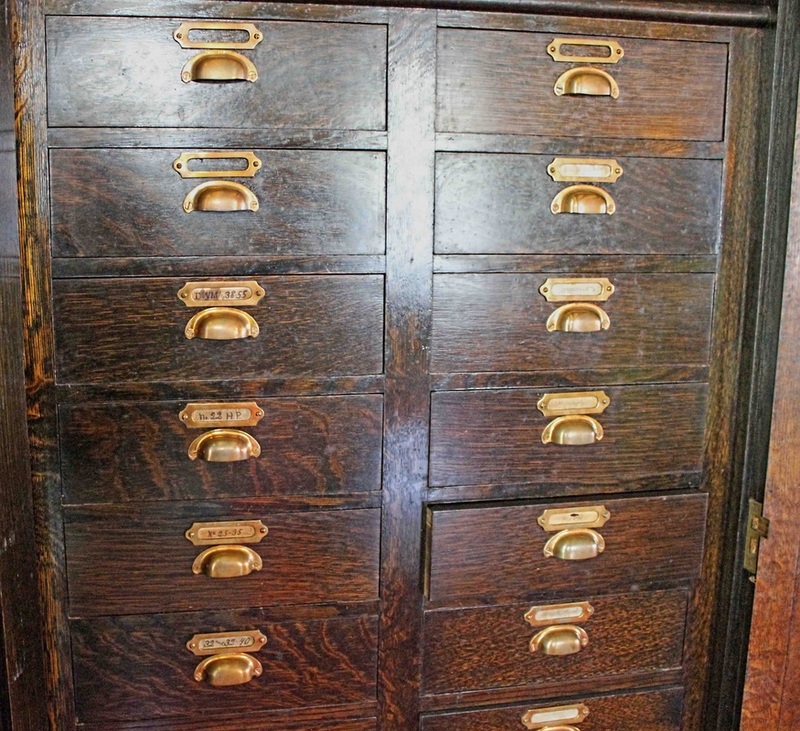 there are replicas of period furniture. none of the original contents remain. after george's death, his widow margaret sold all the furnishings. she was immediately denounced by the family and ownership of plum orchard was given to george's sister, nancy. 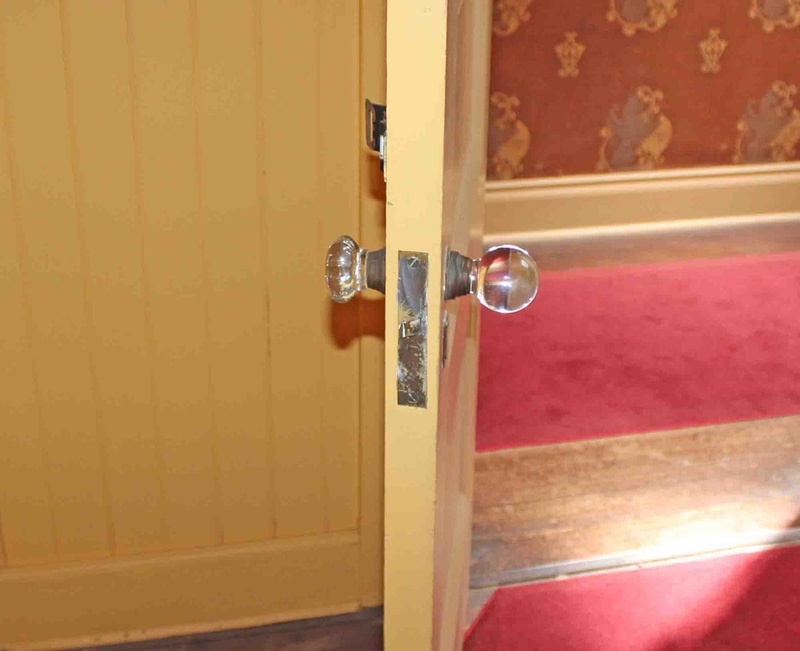 notice the shape of the door knobs. 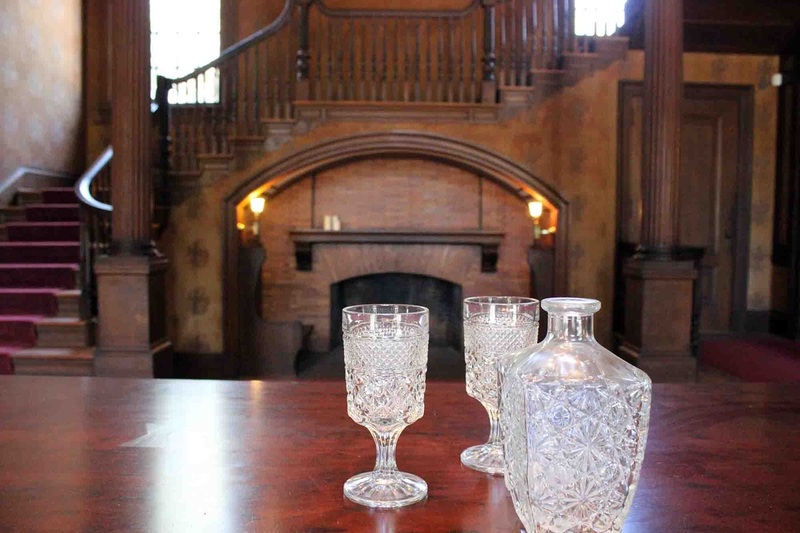 the one to the left was in the servants side of the mansion; the one to the right [the round shape] was on the owner's size. many servants could not read, so through touch, they knew where they were allowed to go in the house. 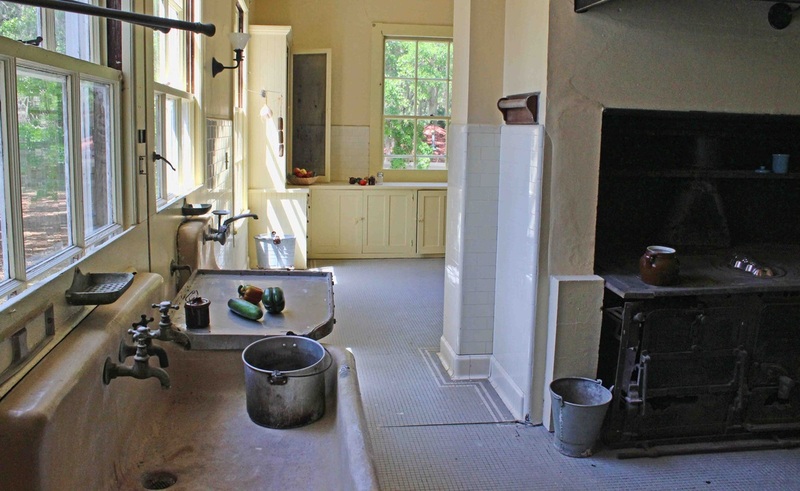 the kitchen at plum orchard. 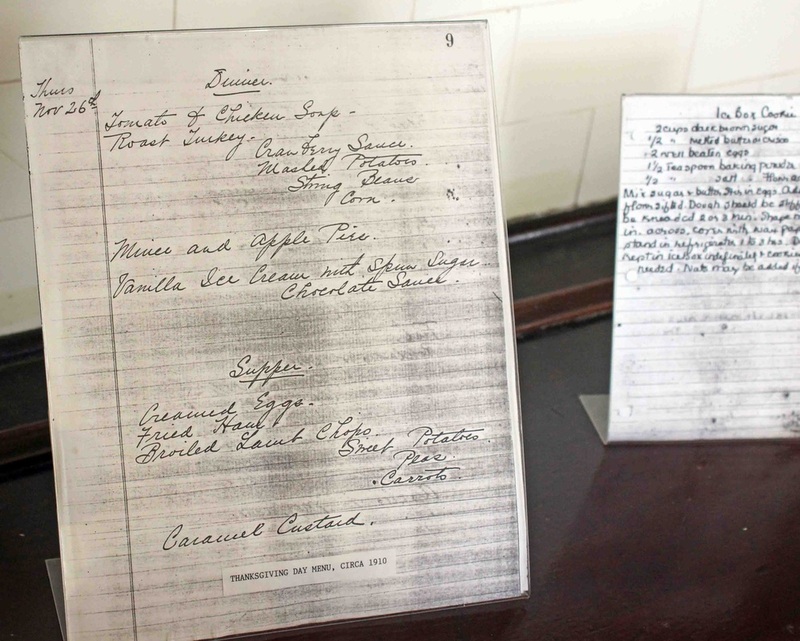 a sample menu written by the lady of the house. 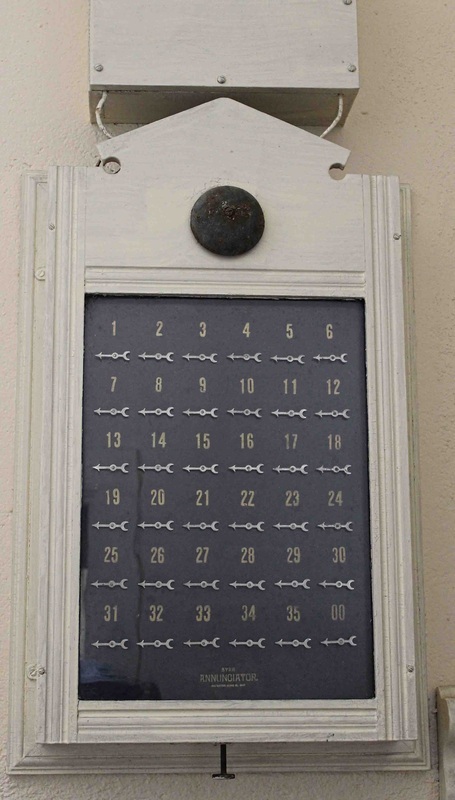 this was an annunciator - somewhat like an intercom system that ran throughout the home for the owners to call for servants. the pool at plum orchard. 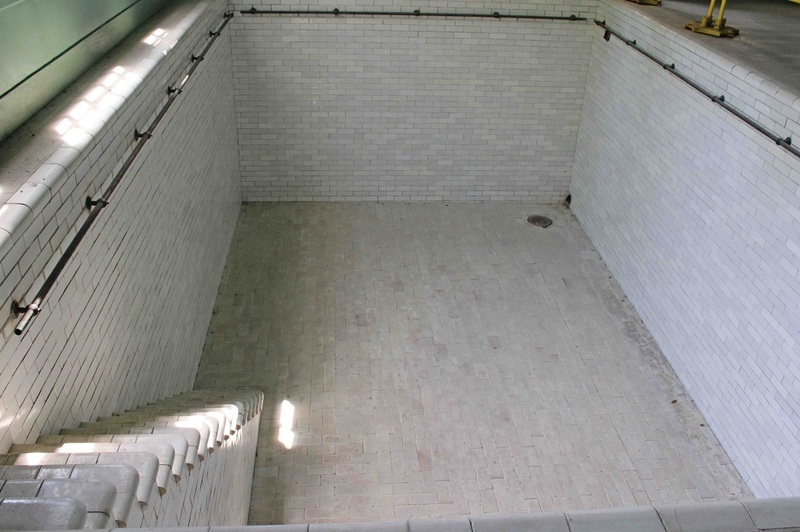 very much 'biltmore' like with a pool inside the home [built in the third stage and last addition to the home] including a changing area as well as a squash court [and a viewing area] to the right of the pool. this the most northern point of grand avenue accessible by tourists. once called high point [late teens], it was the location of a hotel and a wharf where people would dock and be carried by carriages to the hotel. it was considered one of the the "hip places" for people to travel from brunswick. [see the stumps rising from the beach - this is all that remains of the dock] there is no hotel today and it is a private vacation retreat for its owners. this is approximately 11 miles from sea dock. 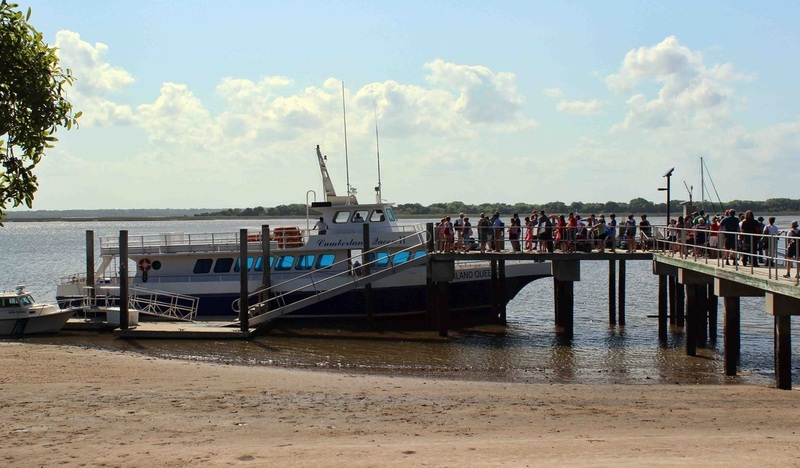 the ferry docks at sea camp, the most popular camping site. a ferry also docks at dungeness. there is also a private dock for boats near plum orchard. the ranger station [at right] is located at sea camp. 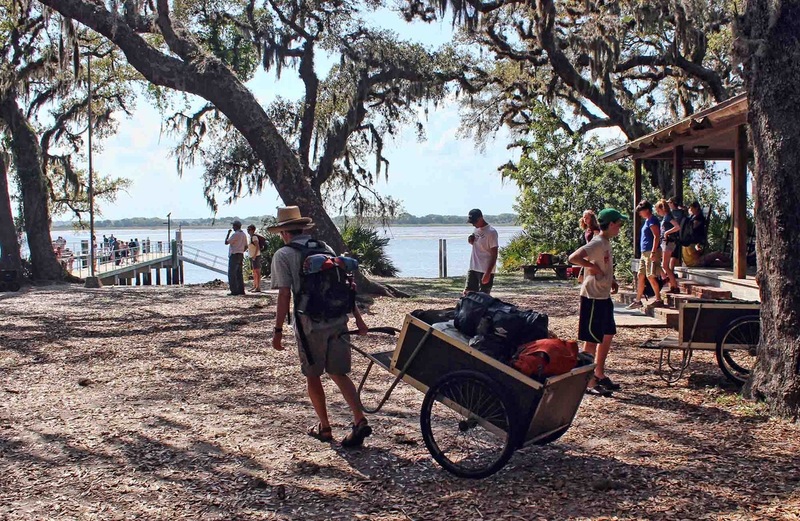 campers have access to wheeled carts to assist carrying their items to camp. they must be returned immediately for no wheeled items are allowed in camp. brickhill bluff camp site. the only camp site located on the water. 10.6 miles from sea camp. saint marys is the gateway to cumberland. the ferrys depart and return from the visitor's center.